The decade-long bull run may have come to a crashing halt when October’s volatility hit, but it served as a reminder to investors that alternative strategies like overseas investing are an option as inflows into exchange-traded products (ETPs) increased in October while they slowed in domestic ETPs, according to a BlackRock report. 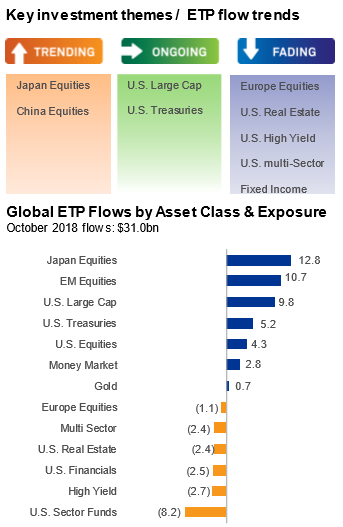 Based on the report data, investors were quick to flee overseas amid October’s mass of sell-offs with global ETPs seeing specific concentrations in Japan and emerging markets. Japan equities saw $12.8 billion, while emerging markets took in $10.7 billion–$7.4 billion of that into Chinese equities. The report credits Japan’s influx of capital to a combination of political stability as well as solid corporate earnings. Despite the slowdown in inflows to domestic ETPs, the report noted that year-to-date inflows are still robust. 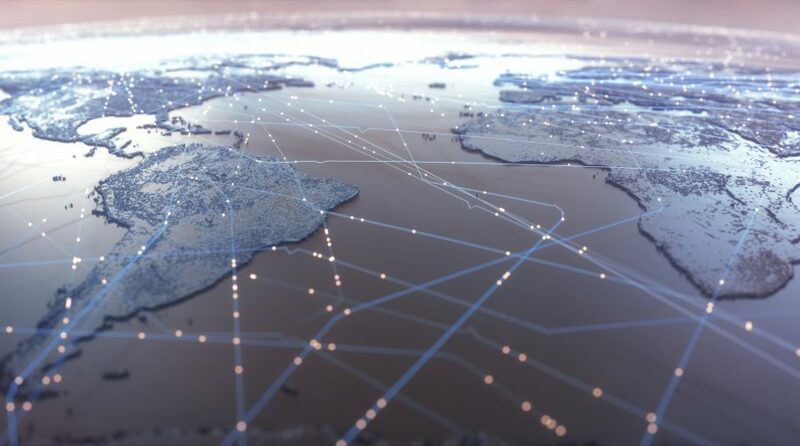 Other notable highlights in the report showed that fixed Income flows were mixed as a result of rising interest rates and languishing U.S. equities. However, U.S. Treasury fund flows amassed $5.2 billion, while outflows of $2.4 billion resulted in high yield and $2.7 billion from multi-sector bond funds.